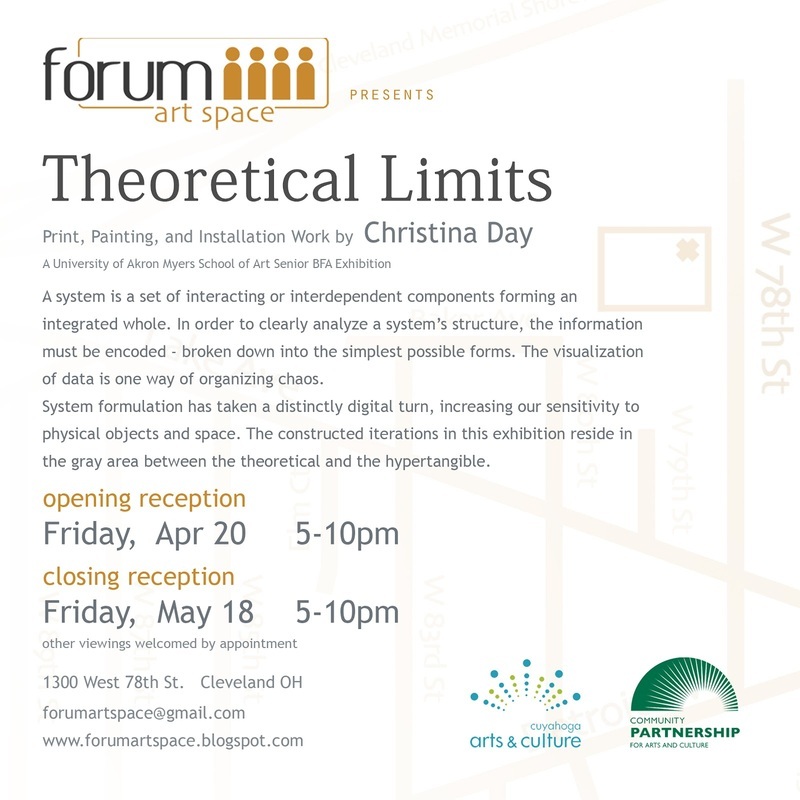 Theoretical Limits: Print, Painting, and Installation Work by Christina Day, ran from April 20th through May 18th, 2012. 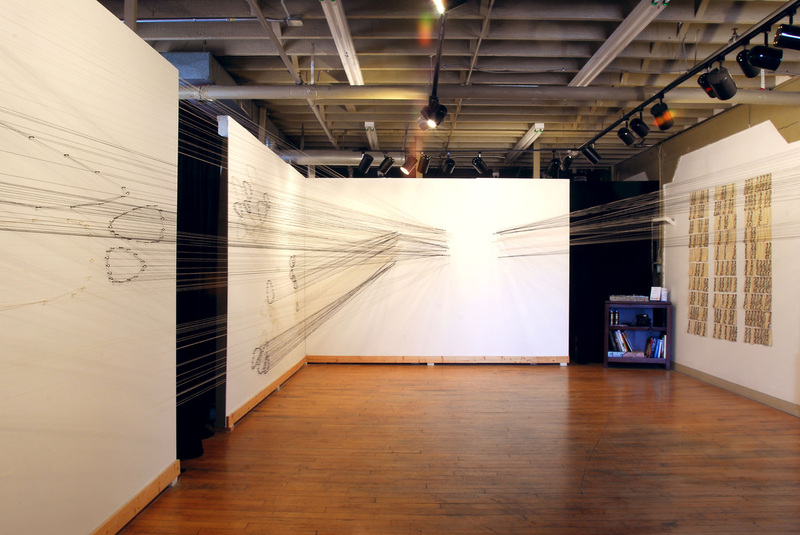 Christina's string installation took up the majority of the gallery space, and was able to be moved around in and explored. 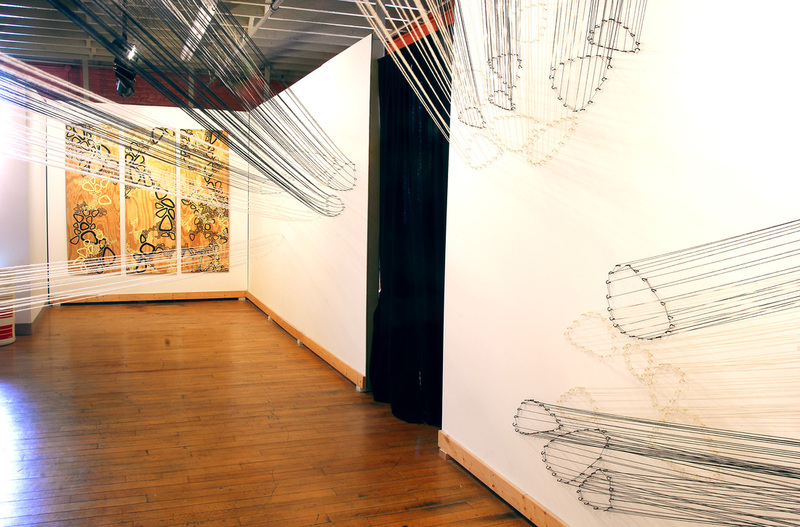 The viewer was encouraged to interact with the space and the works, climbing and bending around the string to view paintings and prints, and even take prints home with them, creating a network that extended outside the gallery walls. 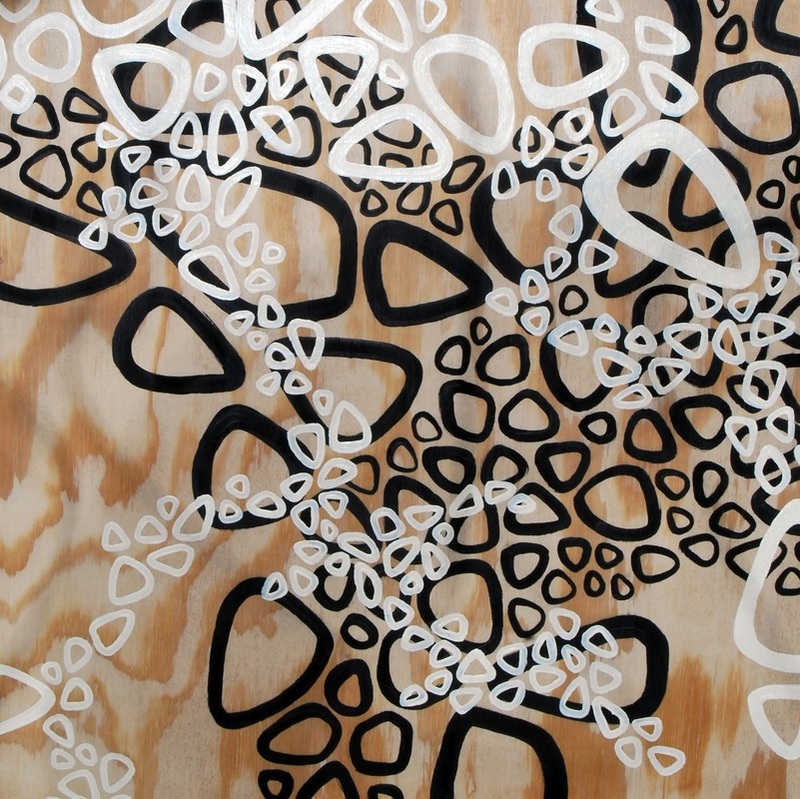 Christina's work often deals with patterning, minimal space modification, and the interaction of the viewer with the work. 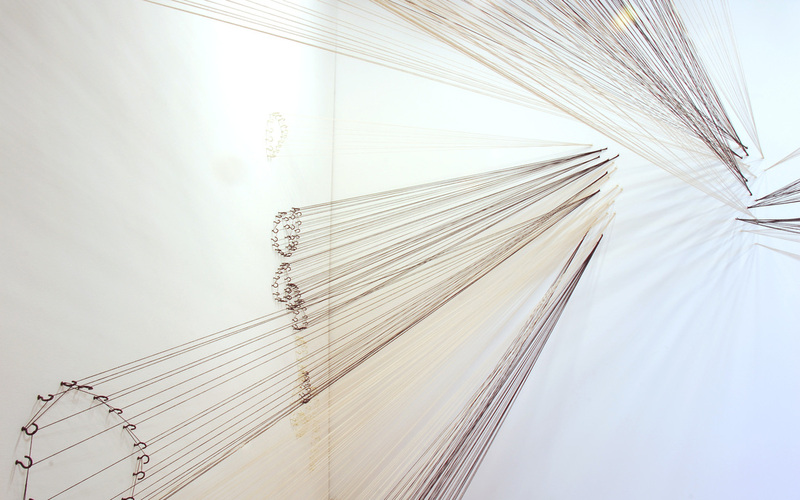 For Christina, the visualization of data is one way of organizing chaos.